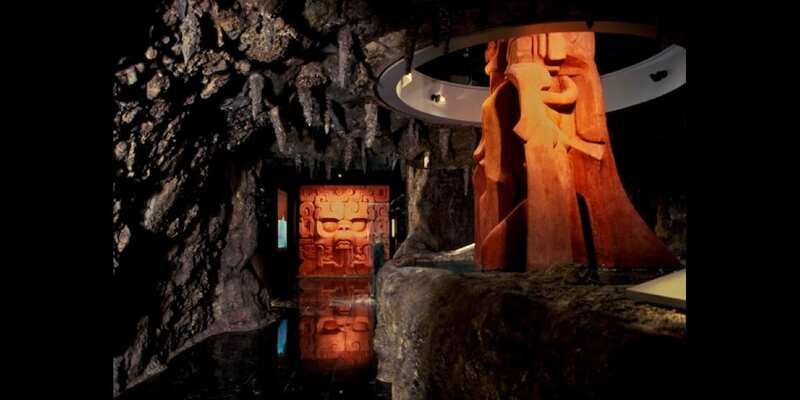 The Museum of Mayan Culture is, in many ways, innovative. It’s ruling axis is the communication and interpretation of ideas and concepts, for which it differs from the traditional museum design models that grant the exhibition of objects the main role. 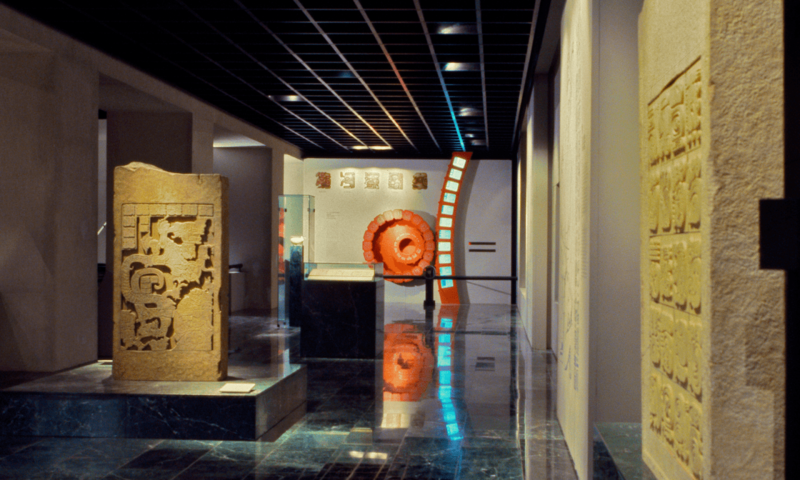 The museum attempts to present the keys that explain the Maya world, its complex cosmogony, the material and spiritual roots of its culture: the Classic period (250–900 AC). The permanent exhibition occupies the building of an old electrical substation whose interior was completely modified, forming a basement and a mezzanine was built. 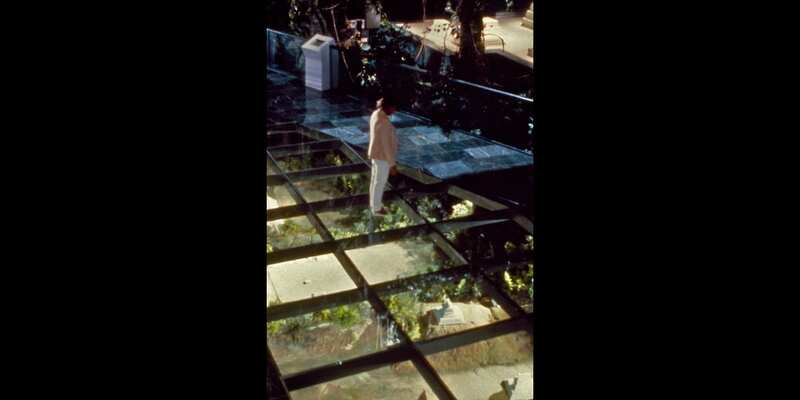 These levels are linked via ramps, bridges and stairs, open, like the mezzanine, towards the main hall, allowing to interlink the diverse aspects of Maya culture. 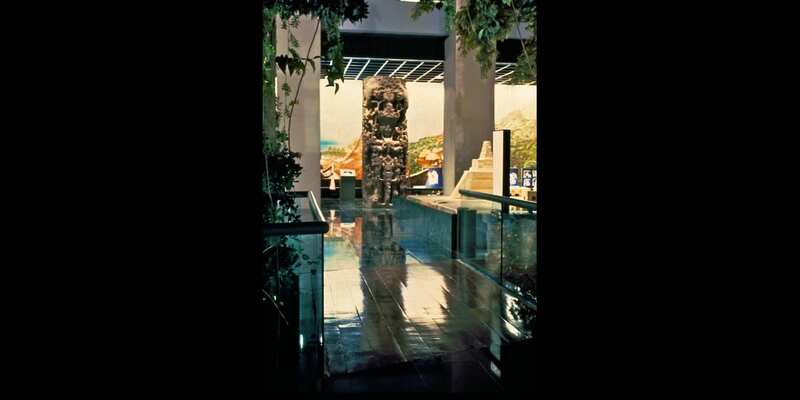 The route through the exhibition combines obligatory circulation with free movement by visitors, making an experience of great richness and spatial variety, that offers diverse perspectives of a group dominated by three fundamental elements: the jungle, the architecture, and the Maya worldview. 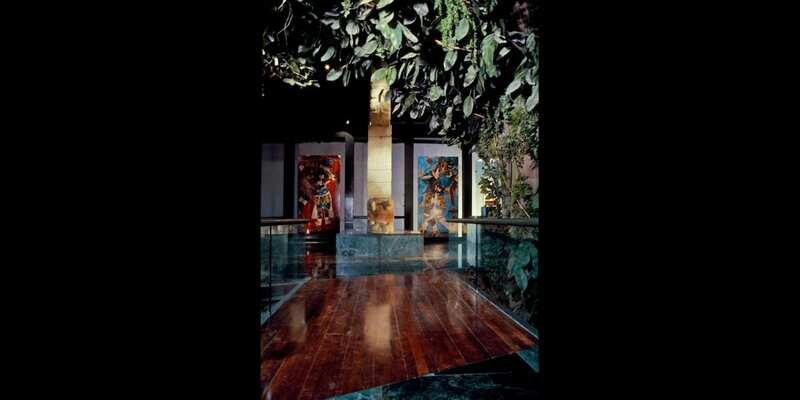 This is achieved through the reproduction of a slice of tropical jungle, which crosses the exhibition hall diagonally and vertically, and represents the main environment in which Maya culture developed. 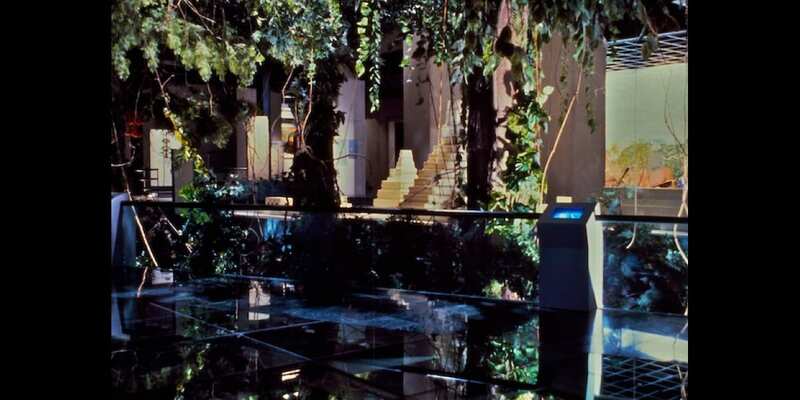 In this way the “jungle” is also a constant presence in the museum, which visitors must frequently traverse during their route. 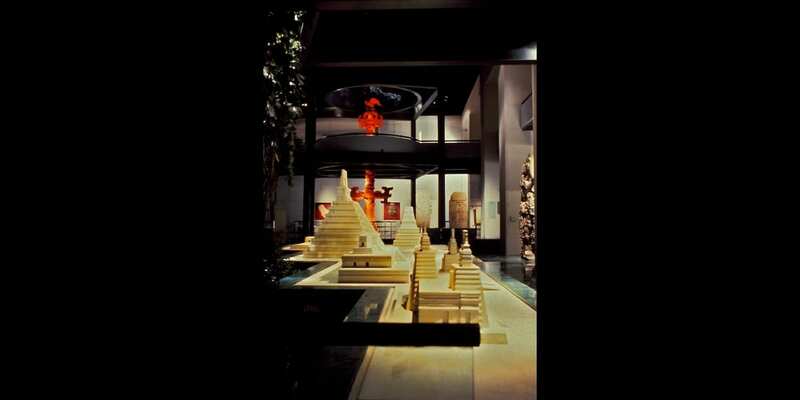 The Maya urban and architectural characteristics are presented, among other media, through scale models of the ceremonial centers of important cities and of outstanding buildings in various regions and architectural styles. 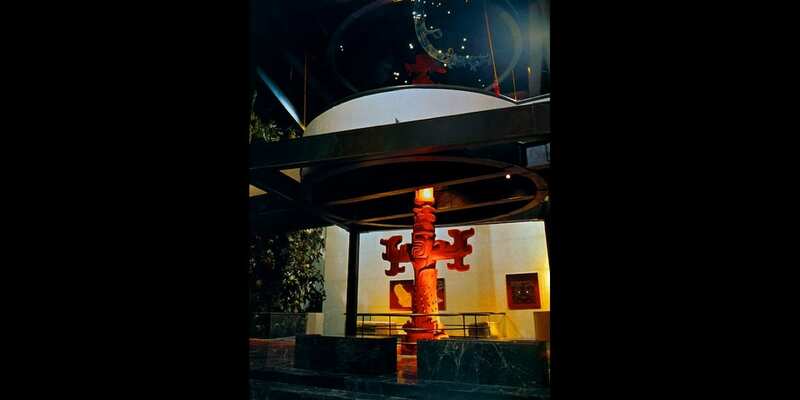 To explain the concepts of the Maya worldview a three level structure was created, in whose axis a three dimensional interpretation of the sacred ceiba, or tree of life. 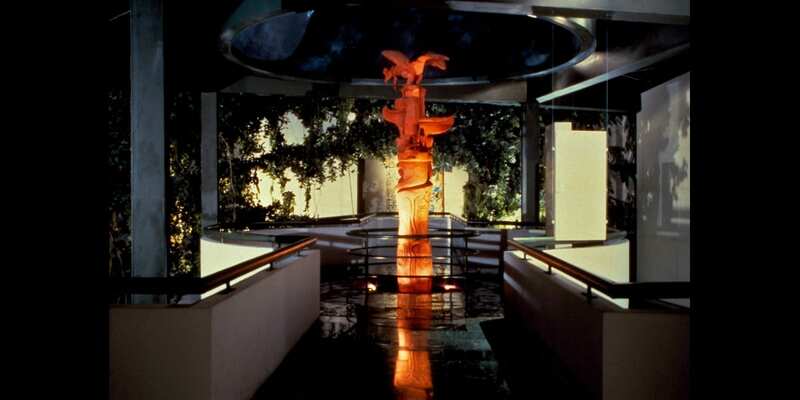 During their visit, visitors accesses each of the levels that symbolize the underworld, the human world and the world above. 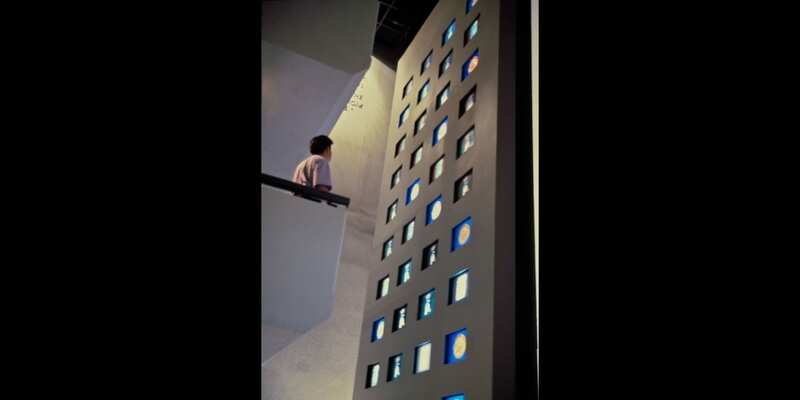 These and the other themes of the museum are expressed through a wide range of display elements, making an exhibition in which spectacle and the use of technological resources allow for the active participation of the visitor, and are linked to the scientific rigor of the information they present. Project Scope: Project and architectural direction of the permanent exhibition building, exhibition design project and realization. Services building architects: Nuño, MacGregor y De Buen, Arquitectos, S.C.